A: We had the intent to design something that was reductive, bold, and that presented information in a straightforward manner. There was also the need for creating a site that served as a pure canvas to showcase the speakers and their work, as they are the event's main subject. 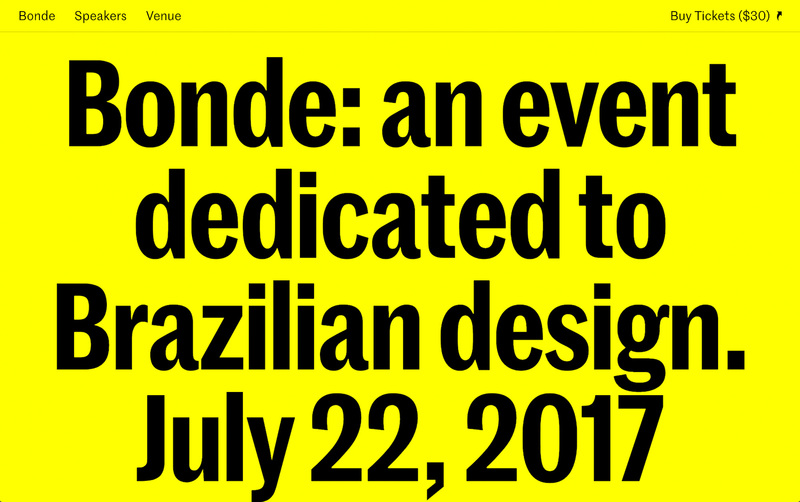 Lastly, we had the desire to create a design that felt uniquely Brazilian and contemporary. Perhaps the combination of all these factors inevitably led us to arrive at a somewhat-brutalist solution. Which, weather consciously or not, also creates an interesting parallel to Brazil, considering the significance of Brutalism in its art, design and architecture.